I am so excited! Jill at The Hobby House is awaiting stocks of a new line of stamps she is going to be stocking, and these are they. Peachy Keen, seriously cute!! From the range that Jill is going to be stocking this one has to be my favourite - how sweet is this little bear! I followed the sketch on Lili of the Valley for this card, which also fits in the CCT challenge - new beginnings and also Stamp Something which is animals. I have a combo card today. I have at last managed to use one of my new Sarah Kay stamps (not used these for ages and it's such a shame cos I love them!!) I had made a card this week using these Early Bird papers and they were still on my desk so rather than start hunting for papers that work together I just grabbed these. For me, the longest part of making the card is choosing the papers. Him indoors says it's because I've got way too many papers and if I got rid of 90% of them I would still have too many. Men!! What do they know!! Best not tell him that I have more on their way ha ha. For the bow trim all I did was sew four loops and two tails of ribbon together with the button. Here's a close up of the bow trim and also the punched border. Katharina is having Whiff of Joy Guest Designer Call. Whiff of Joy are looking for passionate, talented crafters with great colouration skills to complement our Design Team for the next 2.5 months (end September, October, November). You will get a 10% discount on all your orders from Whiff of Joy Stamps for the period of 1 year. You can submit as many cards as you like. You have to use at least 1 Whiff of Joy Stamp on you card!!! I don't usually do a post for Blog Candy give aways (i'm lazy and link it in my side bar) but I think this candy is worth a post on it's own!! Steph from Stamping & Sharing is giving away this awesome candy. I'm sure there will be a lot of drooling going on over these babies, don't all drown your keyboards girls!! Steph is one of the most generous ladies out there, not only with her candy, but her shares, time, friendship and sweet comments too. So dash across now and enter!! Our challenge on Create4Fun this week is to make a milk carton (the template is provided on the challenge blog). I really enjoyed making this dinky little box, too cute. I'm also entering this in the Truly Scrumptious challenge which is to make anything but a card. It's Saturday Surprise time again. This week Simon Says Stamp is going to supply a Magnolia Berry Tilda stamp that I used on the card below. 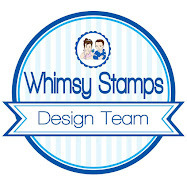 I also want to thank Heidi from Simon Says Stamp for her wonderful generosity. All you need to do to enter the draw is leave a comment here and if you fancy, mention it on your blog - that's it! Easy hey!! The draw is open to all, so if you don't have a blog please make sure you enter your name in the comment box so we can find you. The draw will take place on Sunday evening at 10pm UK time. Heidi from Simon Says Stamp will mail the lucky winner their prize. Don't forget, this is a weekly draw sponsored by Simon Says Stamp - so remember to visit my blog each Saturday to see which stamp is up for grabs. Our challenge at Just Magnolia this week is Ribbons and Bows, another nice easy challenge. I used this weeks sketch on Sketch Saturday. As soon as I saw Mina's gorgeous card I just had to do the sketch. I thought I had used up all these delish papers, but found two little scraps, just enough to make a card and well, I couldn't waste such yumminess now could I? The buttons in the flower centres I found in my button box - don't know how long I have had them but they are fab (wish I could get more). I made this card yesterday just for fun and was trawling through the various challenges and found the card fitted this weeks Stamp Something challenge. Love it when this happens lol. I have coloured Dexter with inks and twinks, still not brave enough to tackle animals with my Copics (what a wuss I am). I unearthed these papers from the bottom of a pile that I have not touched for ages. I used a Sizzix die to cut some stars (the middle size fits one of the birthday stamps in a Scrappy Cat set perfectly. I used one of the accessory stamps to stamp a star pattern on the large star. Then I wanted some star buttons. I know I have them but could I find them? Could I heck as like. So I heat embossed some star brads with gold embossing powder and used those instead. I loved this weeks challenge on Whiff of Joy - Bling. Another nice easy card to make. I used some Cosmo Cricket papers (came out in hives when I cut into these beauties!!) and then used this Prima bling that I have been stroking for evah!! Double hives here girls. Oooh the pain!!! Still can't believe I did it lol. The DT have come up with some delish cards all featuring bling so pop over to drool!! 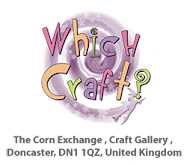 I have loads of samples that need to be made before the Harrogate and Ally Pally shows ..... a new stamp line that The Hobby House will be stocking ……… so I'm going to be awol for a while trying to get as many made as I can. Now is this stamp cute or is this stamp cute lol. I've been itching to ink him up and eventually got round to it on Sunday, just as well as I was rather busy yesterday! Pups are all doing grand, all feeding well and such a content litter. Little Maisie (that I had a problem to get her breathing yesterday) is doing grand too thank goodness. When I set out to make this card it was going to be for tomorrow's Whiff of Joy challenge - but without giving too much away it didn't fit the challenge so am posting it today instead. Apologies for the photo, the camera is usually in the front bedroom but that's the puppy nursery now - best get myself sorted with a new place to take photo's now. It's been an eventful day, our Lulubelle has had her pups .... 5 little Blenheim girls (I'm not sure if there is another pup still waiting to make it's entrance into the world but I think she's done bless her). It was touch and go with the 3rd pup, I was in such a panic I can tell you. It never gets any easier (in fact I think it gets harder cos you're more aware of the dangers and pitfalls). It's been a while since I made a card just for the fun of it so I inked up little Annie again - I do think she's my favourite of them all. I went back to some of my very old favourites - K&Co again. I’ve just seen the sentiment is skew, best go and straighten it right now before I forget! The camera hides nothing lol. Love these huge roses from Hobbycraft - they sure do make a statement. Ooops I forgot to post this yesterday,where is my brain! This week the challenge on Create4Fun is a sketch, done by little old me. I kept it nice and simple (me loves nice and simple). You can use any stamp for this challenge, in fact I don't think you have to even use a stamp if you don't want to. I have used one of my new DT stamps from Create4Fun and found these Bo Bunny papers that I even forgot I had (don't you just love surprises like that!) A few punched flowers in the papers and a bit of tulle and job done. I used some bling on her hair band in on the flower on her jeans. A girl’s gotta have some bling. All you need to do to enter the draw is leave a comment here and if you fancy, mention it on your blog - that's it! Easy hey!! The draw is open to all, so if you don't have a blog please make sure you enter your name in the comment box so we can find you. The draw will take place on Sunday evening at 10pm UK time. Heidi from Simon Says Stamp will mail the lucky winner their prize. Don't forget, this is going to be a weekly draw sponsored by Simon Says Stamp - so remember to visit my blog each Saturday to see which stamp is up for grabs. 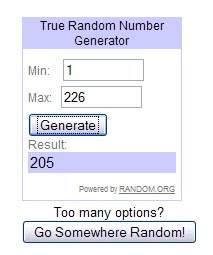 Please enter using Mr Linky (makes it so much easier to find the winner when using Random.org. If you don't have a blog then email me and I will enter on your behalf so you are in with a chance of winning the cute stamp. This week we have a brilliant sketch done by Rach - this is the second sketch of Rach's that I have worked with this week and have thoroughly enjoyed following them. I broke into the Basic Grey Lemonade pad. So far I have shied away from this one and the June bug - don't get me wrong I love the papers but just can't get them to look right together. Hopeless is what I am lol. Here's another little Doraline card, again using MME papers (I am addicted to MME lol) and I have followed the sketch on Everybody Art. I am also entering this card in Simon Says Stamp challenge as this week it's Christmas in August. I was not brave enough to attempt colouring with Copics so reached for my inks and twinks (AKA my comfort blanket lol). I have glittered some of the baubles and stars on the tree with Glamour Dust and added extra bling with the glittered snowflakes. Love the embossing border punch and how delish is this stitched velvet ribbon. I got it in a bundle of ribbons from The Hobby House last weekend – love it! Rach has done such a brilliant sketch for us on Whiff of Joy this week, so perfect for those larger images that don't work with fiddly sketches. Thanks Rach, this is one I will use again and again. I tweaked it a little bit as I just "had" to use my flowers lol. So I moved the sentiment down a little. I had coloured this image with my Copics and was really thrilled with how it turned out. But I used the thin Copic paper and the green mat was showing through so clever clogs here decided to mount it on to white card first but used my ATG gun and all the lumps and bumps were showing through, so in the bin it went along with me paddy. I had to redo it and opted for Distress Inks as the Copic version took me flipping ages. Next time use the Xyron machine Bev! !